Frostpaw casts a worried glance at Gay Head Light. 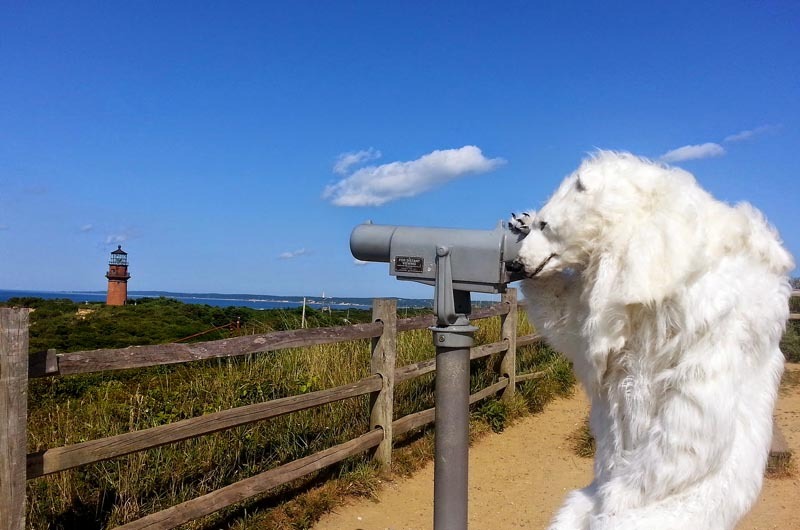 Earlier in August, residents and visitors of Martha’s Vineyard saw an unusual creature cohabitating with the Island’s native species: a seven-foot tall polar bear. The bear, who goes by the name of Frostpaw, is the face of Center for Biological Diversity’s campaign to fight climate change. Though Frostpaw is not entirely wild (in fact, he’s made entirely out of synthetic materials), he is far more than just a costume. “Frostpaw is an ambassador for all of the world,” said Bill Snape, senior counsel for Center for Biological Diversity, and one of the few people who has ever worn the Frostpaw suit. Ever since Frostpaw was revealed to the public in 2009 at the Copenhagen Climate Negotiations, he has travelled the world in an attempt to call attention to the effects of climate change. Frostpaw has been to rallies outside the White House, he has gone to Capitol Hill to meet with members of Congress, he’s travelled to Hawaii while the Obamas vacationed there this winter, and he made appearances on Martha’s Vineyard the past two summers while the First Family was on-Island. “Whenever there’s an important climate issue, Frostpaw is there to remind human beings that fossil fuels are killing polar bears, that fossil fuels are killing the planet and that we need to end our addiction,” said Mr. Snape. 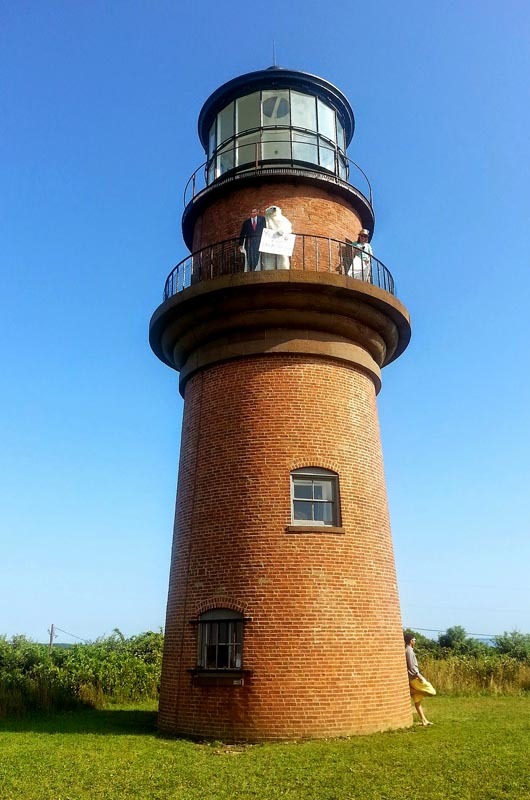 This August, Frostpaw travelled to Martha’s Vineyard with a special mission. He was trying to deliver masks and snorkels to the First Family — including Bo the dog — to encourage the President to take action against sea level rise and global warming. Attached to the masks and snorkels were flyers associated with the center’s Hope You Can Swim campaign, which explains the purpose of the masks and snorkels. Though Frostpaw came close to accomplishing his goal, he was ultimately unsuccessful. 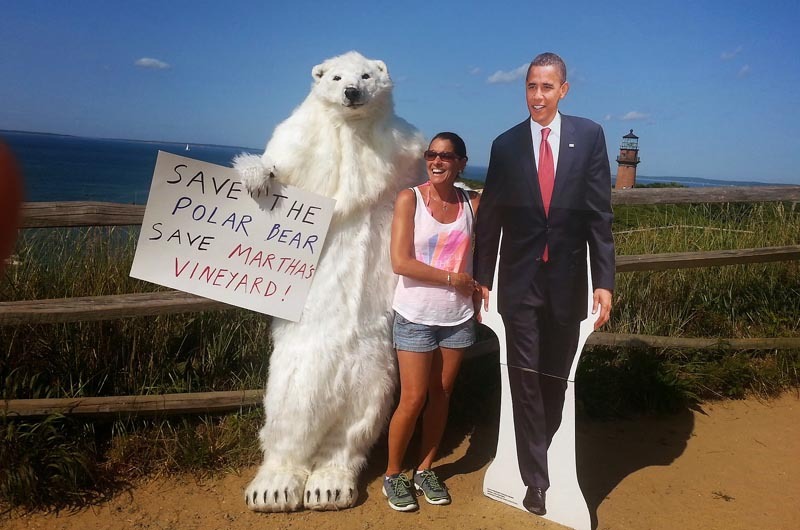 On Sunday, August 10, Frostpaw got a glimpse of President Obama at Farm Neck Golf Club, but the Secret Service asked him to leave before he could deliver his snorkels, let alone wave hello. Disappointed but not entirely discouraged, Frostpaw obeyed. “[Frostpaw left] because Frostpaw is a nice polar bear, a polite polar bear,” said Mr. Snape. While on Island, Frostpaw tried to make the most of other opportunities to make himself visible to President Obama. Numerous sightings were reported of the polar bear standing along the side of the road with his handler as the presidential motorcade drove by. 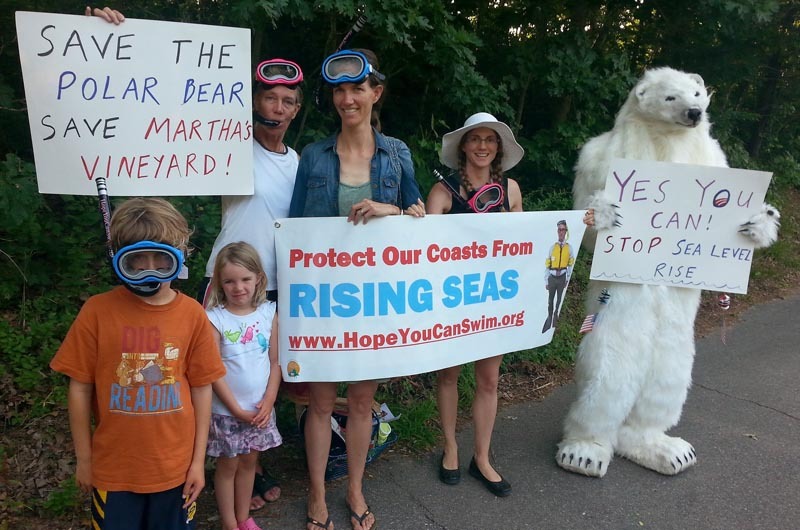 On Friday, August 15, he even interviewed Tisbury selectman Tristan Israel on the threat of climate change and sea level rise on Martha’s Vineyard. But life inside the Frostpaw costume is not always glamorous. Wearing fur for six or seven hours at a time during the height of summer takes a certain amount of resolve. Only about 15 Center for Biological Diversity employees have ever taken on the responsibility of becoming Frostpaw. But for those, like Mr. Snape, who have embraced Frostpaw as a second identity despite its challenges, the experience has its perks. Now that Frostpaw’s task on Martha’s Vineyard has come to an end, he has returned to Washington, D.C., lifeless for the moment and relegated to the special carrying case that keeps him clean and protected, he awaits his next mission. Like all bears, Frostpaw’s hibernation is only temporary.